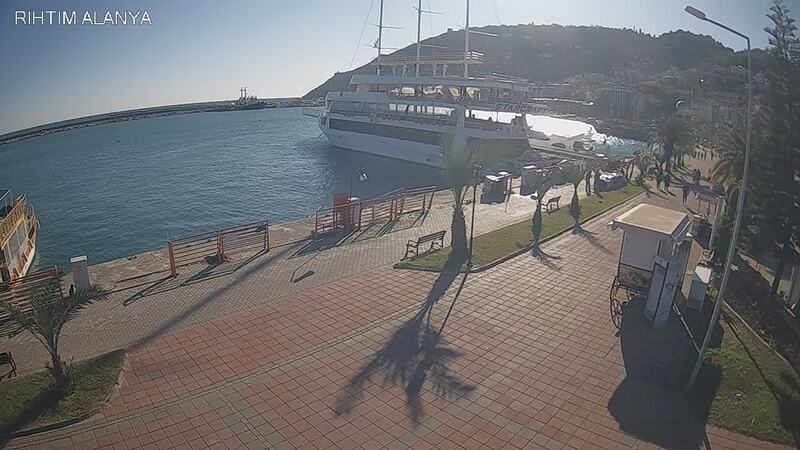 Livestream Harbor - A nice view into the port of Alanya. Alanya: Livestream Turkish Riviera, 0.5 mi. Alanya: Beach Panorama, 1.3 mi. Kargicak: View towards Mahmutlar and Alanya, 8.3 mi. Kargicak: Goldcity Alanya, 8.5 mi. Antalya: Hip-notics Cable Park Antalya, 51 mi. Belek: Xanadu Resort Hotel - Xanadu Bar, 53.1 mi. Belek: Livestream Archipelago, 53.1 mi. This webcam Alanya with the theme Harbors was added on August 5, 2015 and is operated by Alanya'nın Resmi Web Sitesi. It got 16019 visitors since then. Shouldn't this webcam work or should the link be wrong please report that here. You can add this webcam here to myCams.